When Ohkwa'ri overhears a group of older boys planning a raid on a neighboring village, he immediately tells his Mohawk elders. He has done the right thing--but he has also made enemies. Grabber and his friends will do anything they can to hurt him, especially during the village-wide game of Tekwaarathon (lacrosse). Ohkwa'ri believes in the path of peace, but can peaceful ways work against Grabber's wrath? 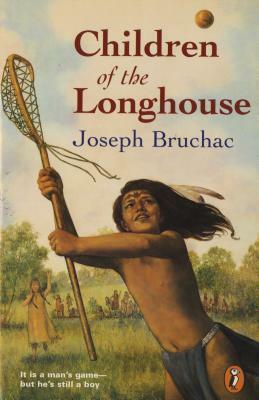 Joseph Bruchac is a highly acclaimed children's book author, poet, novelist and storyteller, as well as a scholar of Native American culture. Coauthor with Michael Caduto of the bestselling Keepers of the Earth series, Bruchac's poems, articles and stories have appeared in hundreds of publications, from Akwesasne Notes and American Poetry Review to National Geographic and Parabola. He has authored many books for adults and children including Code Talker: A Novel About the Navajo Marines of World War Two, Skeleton Man, and The Heart of a Chief. For more information about Joseph, please visit his website www.josephbruchac.com.